Infant and toddler hot car deaths which we have, in the past, called “Forgotten Baby Syndrome,” is a topic that isn’t going away anytime soon. We’ve tried to raise awareness of these tragedies here at Kars4Kids with postings (here, here, here, here, and here) on the Kars4Kids educational blog for parents. We also created a free downloadable app, Kars4Kids Safety, to alert parents to the presence of a baby in the backseat of the car. To my mind, the biggest obstacle to raising awareness of babies dying in hot cars, is the knee-jerk response of parents who say “I’d never forget my baby,” because they think only bad parents forget their babies. Parents who don’t understand or recognize the cognitive process behind memory failure don’t take precautions to protect their children from this eventuality, with often dire results. To my mind, branding the phenomenon was critical. It had to have a name for parents to latch onto, one that sums things up neatly. I decided I’d write Null and tell him that. I wanted to see what he’d say. Besides, I wanted to know about the other 46% of babies who die in hot cars, but aren’t forgotten. “The other 46% are broken down into two categories, but neither of them are the result of forgetting. 28% happen when children get into a vehicle on their own, typically when a car is left unlocked in the driveway or other nearby location. This is why parents should be urged to lock cars, keep keys and fob out of reach and if a child is missing to always check cars (including the trunk). 17% are when a parent or other caregiver makes a conscious decision to leave a child in a vehicle when they go do some other activity. These have included getting their hair done, going to a bar, casino or racetrack, having a romantic rendezvous or going to work. Null added, “I don’t doubt that 54% are forgotten, just that it is nothing unique. We all have busy multitasking lives and parents do indeed have additional stresses but other than the tragic consequences is it any different than spacing out and forgetting our freeway exit? I decided to ask Dr. David Diamond what he thought. Considered the expert on forgotten babies, Diamond speaks and writes extensively on the subject, and has testified in trials of parents whose babies died in hot cars. Diamond, incredibly, responded, suggesting that since the catchphrase is not always well-received and since, “leaving a child in a car is not an act of brain damage or pathology,” he no longer uses the phrase Forgotten Baby Syndrome. “I wrote an article here about the phenomenon and I didn’t mention FBS at all,” said Diamond. “There is no need for a peer-reviewed publication on the topic. Forgetting kids in cars is, in theory, the same brain processes involved in any other type of memory failure when the habit memory system outcompetes the conscious fact-based memory system. “As to the 54% figure – sometimes kids play in cars and get themselves locked in, and other times parents forget kids. I don’t see why it matters. Both types of child deaths are preventable. There are documented times when parents intentionally leave children in cars because they think the children will be safe. This clearly is poor judgment and is in a different category from forgetting kids in cars. I don’t see why 54% of the deaths caused by memory failures should be trivialized. “I understand the need to have a catchphrase for this phenomenon, that’s why FBS was so appealing. But to have a phrase for it is flawed, first, because the word ‘syndrome’ medicalizes it as a form of brain abnormality, and second, FBS opens it up to ridicule, such as to compare it to ‘forgotten phone syndrome’, etc. It also makes it appear that parents don’t take responsibility for forgetting their kids by blaming it on FBS. “Bottom line: it is in the general category of a failure of prospective memory, in which we plan to do something in the future, but we forget to do what we planned to do, which is the most common form of memory failure. The reason is not because we don’t care, it’s because we lose awareness of the plan. The insidious aspect of forgetting children is that our brain creates the false memory that we did complete the plan, that we did take the child to daycare. This is why parents go about their normal routine as the child dies in the hot car. “At a neural level, forgetting a child in a car involves the same brain structures as forgetting to stop at the store on the way home (information is held in temporary memory to be used at a later time while the brain engages in habitual activity). The comparison may offend some, but only the magnitude of the consequences of the memory failures in the two examples is different – the brain structures involved are the same. Jan Null: If you look at my website, I’ve made a plea not to trivialize forgotten babies. But we have to be careful not to emphasize one factor at the expense of others. We can’t be looking only at that 54% and not be looking at the others. By the same token, we shouldn’t think that if we have technology to prevent us from forgetting babies in cars, that this alone will solve the problem. It’s like advertising a fat-reducing pill and saying, “Take this, and you won’t be fat anymore,” it’s dishonest. Every step along the way saves lives, but when one aspect of it is made to be the chief component the other half gets left out of the discussion. When we do that we’re trivializing and saying once we take care of the 54% we’ll only have to worry about the next 46%, as if that’s minor. Null continued: Take technology and the new legislation: these laws and devices will take some amount of time to make their way to the entire population. It’s not instantly you’re going to have these devices in even 50% of these cars. The amount of penetration of this technology even within 10 years, well, half the cars on the road are 7 years old, so you’ll be siphoning new technology into maybe half the cars, at best. Even with your technology being put in cars you’re going to have underserved populations who are going to get it last. In areas where people can’t afford to buy cars every year? That’s where you’ll get the technology last. The distribution of technology is going to be skewed to the higher socioeconomic groups. As for finding a good term to describe forgotten babies, well, that’s not my specialty. I’m the guy bringing tools and trends. I’ve spent 17 years of my service as a weather forecaster and meteorologist looking at this issue. But that term “Forgotten Baby Syndrome” is misleading. It made people think it was something specific to parents and babies. I think it was Weingarten who used “forgotten baby syndrome” first, but that’s branding. I’m the one presenting the data for the people who are in the sphere of heatstroke death, people going to congress, people running heatstroke prevention campaigns. Trends and patterns, that’s my part. I develop trend lines. If we’re looking at weather and heat patterns, the trend line is going up. The total number of deaths, on the other hand, has been flat for 17 years. The numbers have stayed at 37 or 38 average heatstroke deaths per year. * But it’s pretty much been a flat trend all the way back to 1998. That’s discouraging. Me: Discouraging? I would have thought encouraging. That the number of deaths isn’t rising. That the trend line is flat rather than going up. Jan: It shows we’re not doing a good job with awareness, of making parents aware of the problem. Things haven’t changed. Me: Well, that’s why I say you have to have a name. If not Forgotten Baby Syndrome then something else. But you need to have a name. Jan: It’s definitely a problem to make parents understand it could happen to them. There’s an urban myth, a story, don’t know if it’s true, that a spouse saw a device and bought two of them, one for the other spouse. The other spouse made the first one take his back. Because he’d never leave the baby in a car. You know where this is going, right? But again, the branding of it, that’s not for me. What is important is we continue to educate people with statistics and blogs like yours. It’s not going to be a short process or a single device. Me: How do kids get into cars on their own? They take the keys and find their way in? Jan: Sometimes. Sometimes the car doors aren’t even locked. They just go into the car. Me: And then can’t get out? Is that because of child locks? Jan: Sometimes. They climb over into the backseat and then can’t get out. They don’t know they can get out of the car from the front seat at any time. And sometimes they just don’t make it out. Jan: Overcome by the heat, yes. Sometimes they want to get hold of the key fob and click. Was it Volkswagen that had the Darth Vader commercial of the kid with the key fob, who kept clicking [yes. V.E.]? Sometimes the kid is looking for a quiet place. Or the parent has an appointment and can’t get childcare, so leaves the child in the car. Sometimes parents are going to a bar or a casino—they think they’re leaving the kids in a “safe” place. It’s intentional. There was a story of someone who had a court appearance, couldn’t get childcare, and left the child in the car. Me: And when a child dies due to a parent leaving him a car, you never get over it. How can you live with yourself after that? Jan: There’s a whole sociology to this. For instance it was a spouse or a childcare provider who left the child in the car. Whether or not the childcare provider was paid or just doing a favor. There’s the crime and punishment issue. Allen Breed looked at this 10 years ago. How are these cases prosecuted? Do you say that causing the inadvertent death of a child is punishment enough? Or do you look at it like a murder? There’s a whole discontinuity in the way these cases are prosecuted. One court calls it a crime and another says it’s a memory failure. I thanked Jan Null for the generosity of his time. Essentially, both Null and Diamond agreed with each other. Forgotten Baby Syndrome was a catchphrase to be discarded. It’s inaccurate. And trivializes the other 46 percent of babies who die in hot cars for other reasons. It seems we may never find the perfect catchphrase for this terrible thing. But raising awareness, now that’s a goal we can hold onto. We need to make Null’s trend line go down. Way down. The year 2016 is coming to a close and we’re no closer to solving the problem of Forgotten Baby Syndrome (FBS). We know this because as the year comes to a close we find that the total number of U.S. heatstroke deaths of children left in cars in 2016 is actually higher than average. That number would be a very shocking 39 deaths, when the average is 37 deaths in one year. Yes. A full 39 infant deaths have occurred in 2016 (as of this writing) due to these babies having been left behind in cars. That’s in spite of all the articles written to raise awareness of the subject. It’s also in spite of all the organizations and experts devoting their time to the problem of FBS. The phenomenon of Forgotten Baby Syndrome came into its own in 1998. That is when we began to sit up and take note that babies were dying of heatstroke after being left behind in cars. It was happening often enough that the problem needed to be addressed. Since that time, 700 babies have died of heatstroke after being left behind in cars. In 2013, there was a spike of 44 infant deaths from FBS, which was followed by a slew of articles on the subject. That information campaign seemed to make a difference. The following year, 31 babies died from Forgotten Baby Syndrome, and the year after that, “just” 24. It looked like we were getting somewhere. But now the number of mortalities has jumped again. This suggests that parents are still in denial about the roots of Forgotten Baby Syndrome. They don’t believe that the cognitive process that causes Forgotten Baby Syndrome is involuntary. They don’t think it can happen to them. “The quality of prior parental care seems to be irrelevant. The important factors that keep showing up involve a combination of stress, emotion, lack of sleep and change in routine, where the basal ganglia is trying to do what it’s supposed to do, and the conscious mind is too weakened to resist. What happens is that the memory circuits in a vulnerable hippocampus literally get overwritten, like with a computer program. Unless the memory circuit is rebooted—such as if the child cries, or, you know, if the wife mentions the child in the back—it can entirely disappear. Diamond is speaking of executive function. This is the brain on autopilot doing the myriad things we do in our day that we barely think about. Things like getting up, taking a shower, driving to work, doing errands, and so forth. Now throw in something extra, like dropping off the baby at daycare, the one day in the week you do it instead of your spouse, and add in some stress, poor weather conditions for driving, and sleep deprivation and you’ve got a recipe made in hell. A recipe for Forgotten Baby Syndrome, that is, in which the working memory is overwritten by an automatic brain process that is not something we, as human beings, can consciously fight. It happens without our knowledge, consent, or awareness. As long as we don’t believe that and don’t take precautions to protect our babies in the event it happens to us, it, Forgotten Baby Syndrome, will keep happening to our precious babies, Heaven forfend. Babies who died from vehicular heatstroke in the United States from 1998 to October 2016 range in age from 5 days to 14 years. Over half these deaths are for children under the age of 2 years. 20 states now haveUnattended Child Laws that specifically address the issue of leaving a child in a vehicle, unattended. The remaining 30 states have not yet created specific laws to address the problem of leaving a child in a vehicle, unattended. 14 states have proposed to adopt unattended child laws. 10 states now have “Good Samaritan Laws” that make use of specific language to protect anyone who sees a child in a car and subsequently attempts a rescue. Charges were filed in 49% of Forgotten Baby Syndrome deaths with 81% of them resulting in convictions. In cases involving paid caregivers such as childcare workers and babysitters, 84% were charged with 96% resulting in convictions. Only 7% of all cases of Forgotten Baby Syndrome involved drugs or alcohol. Heatstroke occurs when body temperature rises above 104 degrees Fahrenheit. At this temperature, the body can no longer regulate its own temperature. When the core body temperature reaches 107 degrees Fahrenheit or higher, the body’s cells will become damaged and the body’s internal organs will stop working. Once this happens, death comes quickly. Children’s bodies are not as efficient as adults at regulating body temperature. A child’s body temperature rises at a rate that is 3-5 times faster than an adult’s. Don’t be in denial. Take simple steps to prevent Forgotten Baby Syndrome, even if you don’t believe it could happen to you, or to your baby! Put your wallet, cell phone, or purse in the backseat of your car. It’s an extra step that will make you stupid, but keep your baby alive, when your brain is overwhelmed and goes on autopilot. You don’t have to believe it. You just have to do it. So do it, and save a life. Hot Cars Cookie Challenge is a little experiment we whipped up (along with some cookies) in the parking lot of Kars4Kids. 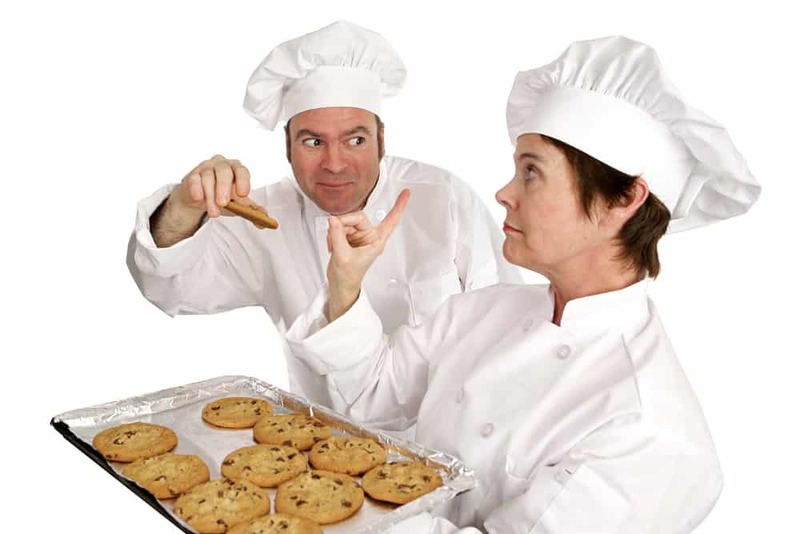 The Hot Cars Cookie Challenge involves leaving a tray of unbaked cookies in a car to prove that the car gets hot enough to bake cookies. It’s kind of a new riff on the streets of New York being hot enough to fry an egg in summer, only this time it’s cookies. In your car. We decided we’d undertake the Hot Cars Cookie Challenge and film the experiment to illustrate how quickly cars heat up on a hot summer day, and to show just how hot a car can get. So how hot can they get? Hot enough to bake a tray of cookies. It may not be the most efficient a way to harness the energy of the sun. It takes about two and a half hours to bake a tray of cookies in your car when the temperature outside is 90° Fahrenheit. That’s as opposed to the usual 10-12 minutes in your oven. But the Hot Cars Cookie Challenge should manage to illustrate the point that cars get really hot on hot summer days. At Kars4Kids, we’re hoping the Hot Cars Cookie Challenge will also persuade you to download our free Kars4Kids Safety app. The Kars4Kids Safety app triggers an alert when you leave your car, reminding to check the backseat of your car to make sure you’ve haven’t left a little one back there. Why do the Hot Cars Cookie Challenge now? Well, we’ve been telling parents about the dangers of hot cars, because it’s summer, and every summer, babies left behind in hot cars die. That’s precisely why we created Kars4Kids Safety, to help prevent these tragic, senseless infant deaths. So we know you know all that stuff. You know about hot cars and the dangers they pose. You know about the parents who leave their babies in their cars during the hot summer months. You know about the babies who die of heatstroke. But you would NEVER let that happen to you and YOUR baby. 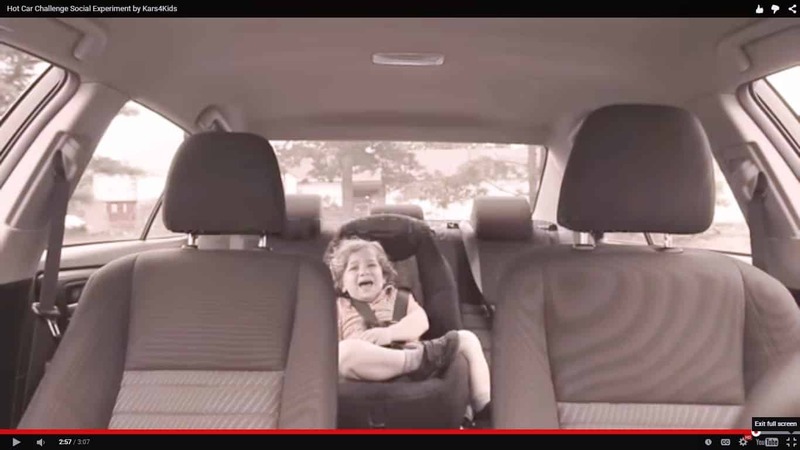 You’d never leave your baby alone in the car. You’d never forget HER. It’s a perfect summer day. The sun’s out with not a cloud in the sky. The weatherman says it’s 90°F. Your friend offers to lend you some folding chairs for a meeting you’re having in your home. You pull up to the friend’s house and see your baby has fallen asleep in her car seat, the way she always does in the car. Something about that purring motor. You hate to wake her. She hasn’t been sleeping well. She’s been cranky. Cutting a tooth. So you leave her in the car “just for a minute” because you’re just going to get the chairs and then you’ll be right back. You come in. She closes the door. You wait, sneaking peeks at your watch, growing nervous as one minute stretches into two. But you know the baby’s out like a light. Ten minutes pass. Any idea how hot it now is inside your car? You know, the one you left your baby in, just for a minute? It’s now 122° Fahrenheit in there. Hot enough to bake cookies. Now that we’ve got your attention, with no further ado, we give you the Hot Cars Cookie Challenge. And just in case you think we’re pulling your leg, why not try the Hot Cars Cookie Challenge for yourself? Go on, we dare you. Because there’s nothing more important than making sure we get this point across: Cars get hotter than you think. Don’t leave baby behind even for a short time. Get the Kars4Kids Safety app from the Google Store. It could save your baby’s life. Kars4Kids Safety app? We’ve updated it. Are you still driving without it? If so, the facts should stop you cold: babies are dying in hot cars, all over America. That’s the reason Kars4Kids developed Kars4Kids Safety, and it’s the reason we’ve now updated the app to make it more intuitive, more user-friendly. We’ve made it something you’ll want to use. Something that might save your baby’s life. Last year, the focus of the Kars4Kids Safety app campaign was Forgotten Baby Syndrome (FBS) and how perfect parents can’t fight back against the perfect brain storm that causes the syndrome. It’s just the way the brain works under stress. Here’s what we wanted to get across: FBS says nothing about parenting ability. We tried to make the point that even YOU need this app, because FBS is not about poor parenting. We didn’t want a parent’s pride to stand in the way of offering this extra layer of protection to his child. And by the way, the app is free–we just want your baby to stay safe. If an adult can’t take 15 minutes of sitting in a hot car with temperatures rising all the time, just imagine how it is for an infant or toddler. It hurts to think about it. But as parents, do we really have a choice? This summer is already proving to be hotter than usual. Eight babies have already died from being left in cars. We know that the number of infant deaths due to heatstroke from being left in cars is bound to rise as the summer heat reaches its peak. 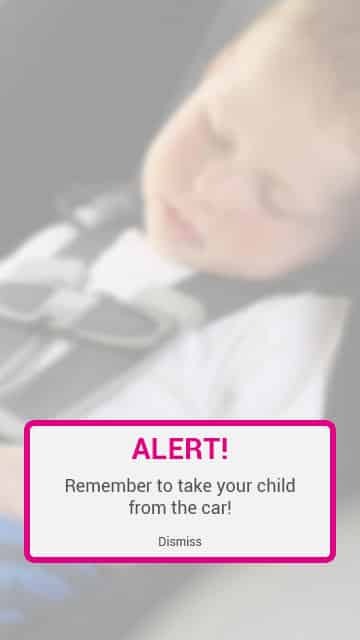 The Kars4Kids Safety App prevents all-too-preventable deaths by alerting you to check the backseat of your car to make sure you haven’t left your little one behind. It works by pairing the Bluetooth function of your car with your phone. When you leave the car, an alert goes off reminding you to check you’ve taken baby with you. You can set the app to automatic, so that it always alerts you to check the backseat of your car for baby, or you can schedule the app for specific times, for instance, the time you normally drop off or pick up your child from daycare. You can also just let the app let you decide whether or not you want to turn on the alert when you’re getting ready to drive. The updated Kars4Kids Safety App is also more attractive, which makes it more likely you’ll enjoy using it. You can upload your baby’s photo so that it shows in the background when the app kicks in and during alerts. Altogether, this new version of the Safety App is sleek, beautifully designed, and a pleasure to use. There’s no question that Kars4Kids is having an impact and helping to raise awareness of Forgotten Baby Syndrome. Last summer, Kars4Kids sent out over 10,000 informational posters to pediatricians’ offices and guess what? They called and asked for more. We even had interested parents calling in to our customer service representatives to ask questions about what they can do to protect their dearest possessions: their babies. So what can you do to make sure your baby stays safe this summer? Download the Kars4Kids Safety App from the Google Play store. And make sure you share this post with your friends. Forgotten Baby Syndrome. You may not know it by its name, but you know it would never happen to you. Forget your baby?? Leave your flesh and blood infant in the backseat of your car TO DIE??? Ha! You might as well forget how to breathe. That’s your natural gut response kicking in. But in this case, ignore your gut. Please. Forgotten Baby Syndrome, in which a baby is left in a locked car to die of heat stroke, is misnamed. Because it’s not about “forgetfulness.” It never was. Forgotten Baby Syndrome was and always will be about an involuntary brain process. One that cannot be controlled through willpower or superhuman effort. The good news is that experts have been working overtime to better understand Forgotten Baby Syndrome. The hope is that with greater understanding, the scientific community will come closer to providing solutions and preventive measures against this deadly phenomenon—one in which the youngest of victims die, their parents left grieving and shattered. Here is what we think you should know: experts have found that quality of parental care is almost never a factor in Forgotten Baby Syndrome. Rather, the parent’s executive brain functioning is overwhelmed by a combination of stress, sleep deprivation, changes in routine, and emotion. The memory circuits are “overwritten” like a computer program, with the conscious mind overcome, too weak to resist this natural brain response. It’s like a short circuit to the working memory. And it’s completely involuntary, automatic. A noise or a phone call, the mention of the baby’s name, an alarm: any of these could serve as a life-saving trigger. That’s all that is needed to reboot the memory circuits of the brain, to restore the working memory as the ruling power. But if the baby is quietly asleep in the backseat, that’s not going to happen. There’s no trigger to restore the parent’s natural working memory: the part of you THAT WOULD NEVER FORGET YOUR BABY. The thing is, this is not a theory. It’s hard science. So now you know. This could happen to YOU! And if it did, you’d have the rest of your life to live with it. We don’t want this to happen to you. We don’t want it to happen to anyone. We especially don’t want any more babies to die. 2) The creation of a potentially life-saving app: Kars4Kids Safety, to be launched July 1st. Powered by Bluetooth technology, the Kars4Kids Safety app sounds an alarm when you leave a Bluetooth-enabled car, reminding you to check the backseat. The Kars4Kids Safety app is a simple preventive measure a parent can take to fight back against that involuntary brain process. The one that has left too many babies dead. Designed by Kars4Kids, the app can serve as a trigger to restore the parent’s working memory. It’s a simple fact: an alarm can signal the conscious mind, reminding parents to check the backseat of the car where Baby may be sleeping. A major factor in Forgotten Baby Syndrome is a parent’s sight and sound. If the baby is sleeping in the backseat of the car, he is neither seen nor heard. 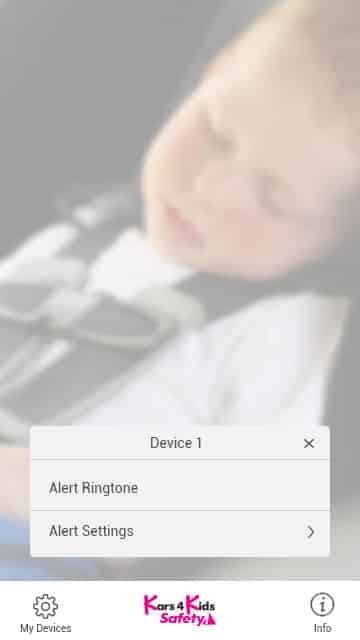 The Kars4Kids Safety app can provide the audio cue a sleeping infant cannot. We don’t want to make any miraculous claims about our new app, but yes, at Kars4Kids we’re proud to stand behind this concept. We worked hard to come up with an app that could be helpful to parents and make a difference in fighting this terrible epidemic. We think the Kars4Kids Safety app is one heckuva way to fight back against Forgotten Baby Syndrome. If you have a Bluetooth-enabled car and a Bluetooth, watch this space for the July 1st launching of our Kars4Kids Safety app. 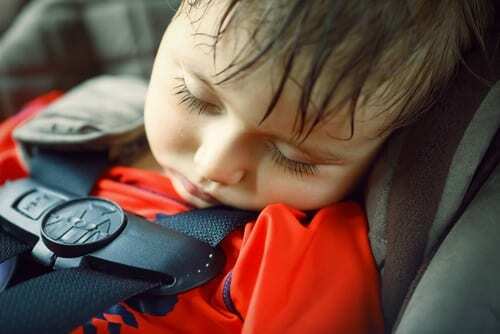 We believe the Kars4Kids Safety app can help you keep your baby safe during the long hot summer months, even when baby is blissfully asleep in the backseat, out of sight and out of mind.